SHOP THE CLEARWATER CLOSET FOR GREAT DEALS! 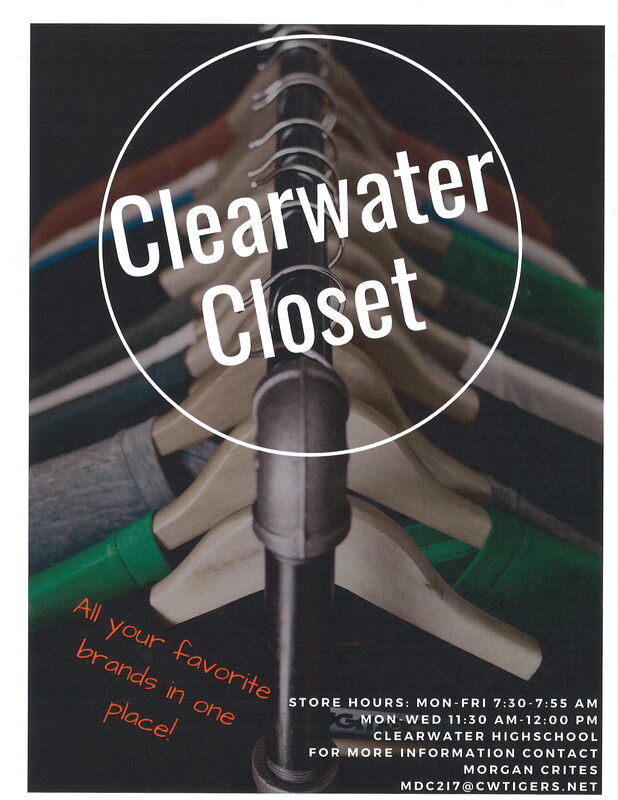 The Clearwater Closet is now OPEN FOR BUSINESS! 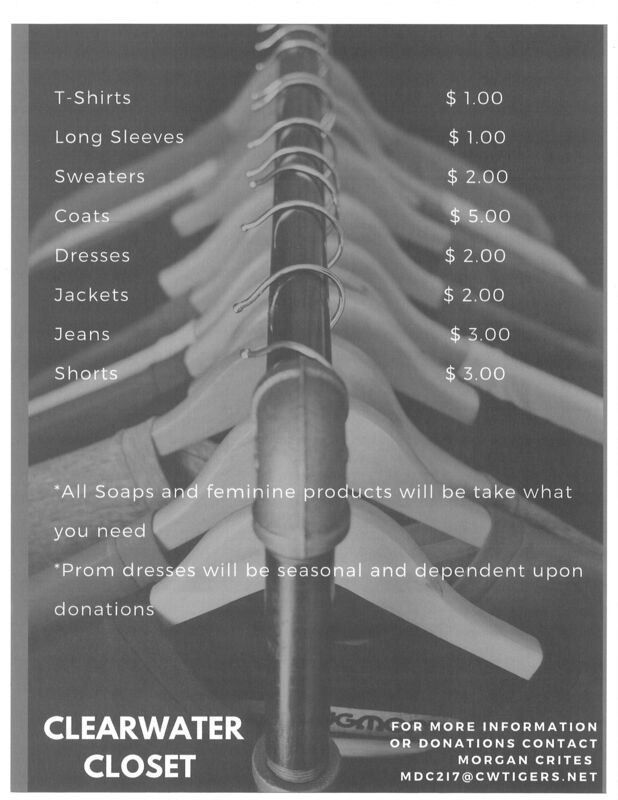 Shop store hours every day before school 7:30 – 7:55 am or during advisory (11:30 am – 12:00 pm) Monday – Wednesday.